Reliability, quality and service keeps your manufacturing efficient. 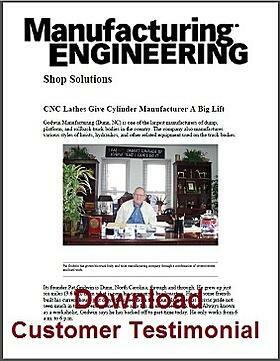 Bardons & Oliver manufactures and supplies Machine Tools such as cutoff machines, CNC lathes, and bar feeders. We also offer machine rebuilds, control retrofits large part contract machining and replacement parts for industries all around the world. But we do more than just build machines, we also offer comprehensive machine shop services. As part of our commitment to customer relationships, the experts at Bardons & Oliver work with every customer to fully understand and evaluate their needs before beginning to design and build. Taking this systematic approach means that Bardons & Oliver finds ways to recommend improvements that can streamline processes, reduce inventory and ultimately contain or lessen costs. We become an extension of your manufacturing process. You get a history of innovation with Bardons & Oliver’s Machine Tools. 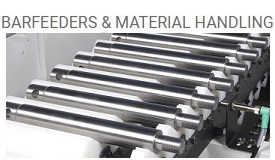 As a manufacturer of standard and built-to-order CNC lathes and cutoff machines for bar, pipe and tube, Bardons & Oliver is built on more than a century of customer focus. 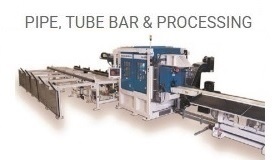 We have a wide array of customized tube cutting machines, including automatic cutoff lathes, rotating head cutoff and finishing, double-end face & chamfer and CNC turning models. We also rebuild machines, including units built by other manufacturers such as Warner & Swasey, Cincinatti Milacron, Leblond and many more. 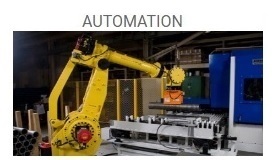 As an authorized Fanuc robotics integrator, Bardons & Oliver offers a full range of services for when you want to make the most of your machinery. These include automation design and installation for new Bardons & Oliver systems and field upgrades for existing Bardons & Oliver systems. We can often integrate Machine Tools from other builders, too. Bardons & Oliver offers installation and integration of the complete range of FANUC robotics products and can provide engineering consultation, full design and 3D modeling for total efficiency. 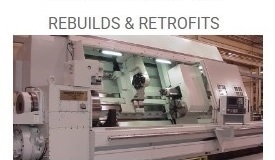 If new equipment isn’t within your reach, or not what you need right now, we can rebuild or retrofit to update your existing Bardons & Oliver machines or machines with similar designs. 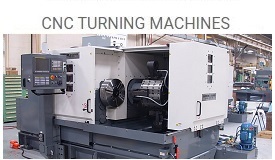 As a participant in the GE FANUC 5-Star Retrofit Program, we can add newer controls, electronics and robots that can make your machine better than new. 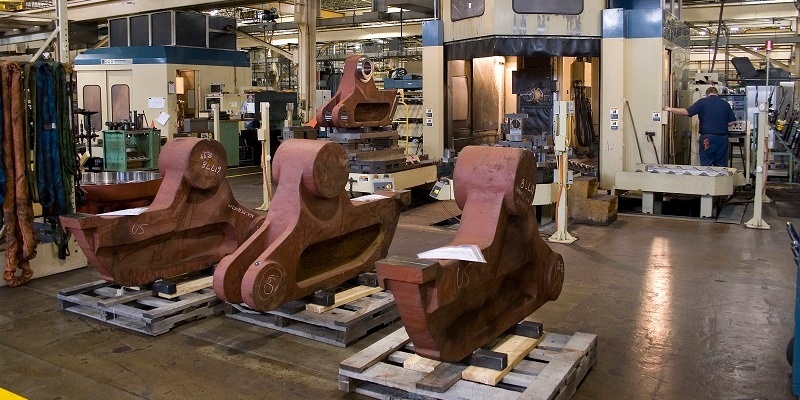 To keep your machines running in tip-top shape, we offer replacement parts for our Bardons & Oliver machines and other manufacturers’ similarly built machines. When outsourcing suits your needs, Bardons & Oliver offers a broad range of Contract Machining services. With a wide range of machine sizes, we will match your part to the most effective machine for the job. 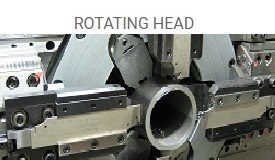 Our large horizontal and vertical CNC milling, turning and boring machines, can handle your part machining up to 20,000 lbs. and 120” / 78” / 60” in X, Y, and Z. Bardons & Oliver’s full service Machine Shop works with a wide range of commercially available raw materials in a variety of material conditions such as hot rolled, forged, cast and fabricated. Our engineers will review your drawings to discover opportunities to make the production of your part as cost-effective as possible. One purchase order fulfills all of your requirements. We can source raw materials, machine parts, heat treat, coat, assemble, inspect/verify parts and package. If the Contract Machining service you need isn’t included here, just ask us and we’ll help you find a solution. Find the machine, process or part that improves your productivity. A full line of products and services, all made in the USA, can increase efficiency, lower costs and solve your manufacturing challenges.